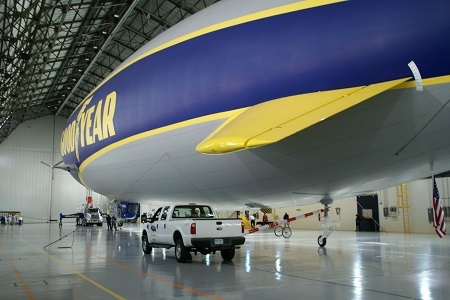 On April 8th, Goodyear officially unveiled its new Goodyear Blimp NT. 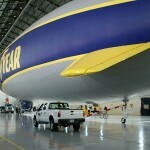 The airship is currently undergoing test flights and certification operations. Click here to see how the New Blimp compares to the traditional GZ20A. 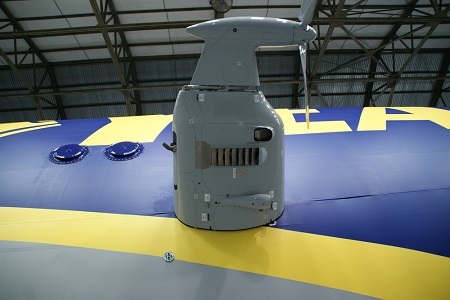 Click here to see a comparison of the Electronic Signs on the two airships. 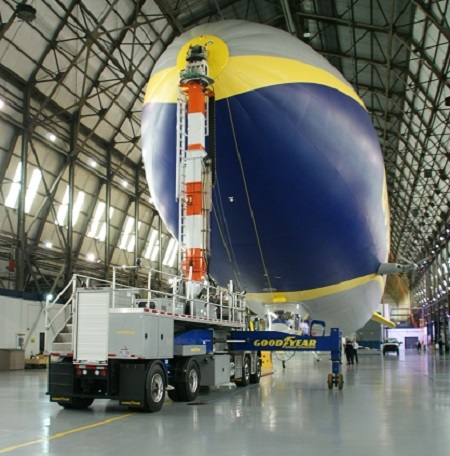 Goodyear’s new Blimp NT moored to the mast truck inside the Wingfoot Lake hangar. This truck, connected to the rear wheel of the airship (red and white bar), helps keep the airship straight as it enters and exits the hangar. The starboard vectored engine is mounted on one of the longerons of the internal frame, providing a quieter ride inside the gondola. 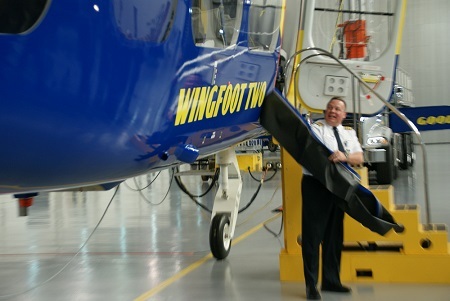 Jerry Hissem, Goodyear Pilot-in-Charge, unveils the name of the new airship. 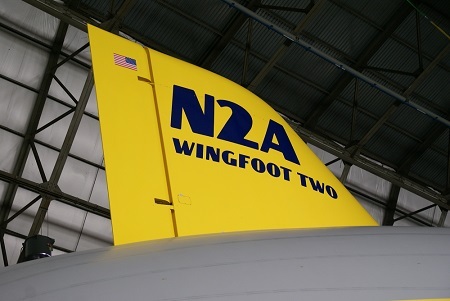 Top fin of the new airship with its new registration number and name. This entry was posted in Airships, Semi-Rigid and tagged airship, Blimp NT, goodyear, LZ N07-101, Wingfoot Lake, Wingfoot Two, Zeppelin NT. Bookmark the permalink.